The Child's Mesquite Boot has been a Cultured Cowboy best seller for about 15 years. Manmade materials, but cute for boys or girls boots. 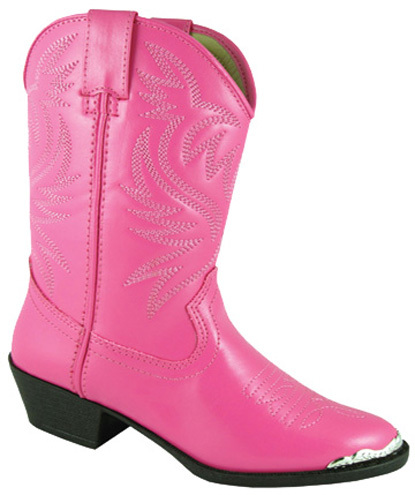 This little cowboy boot comes with a western heel and TPR sole that is easy to play in. A TPR sole is a mix of rubber and high tech resins. ThermoPlastic Rubber. A mold injected sole with the flexibility of a leather sole. More comfort, and a lot tougher.